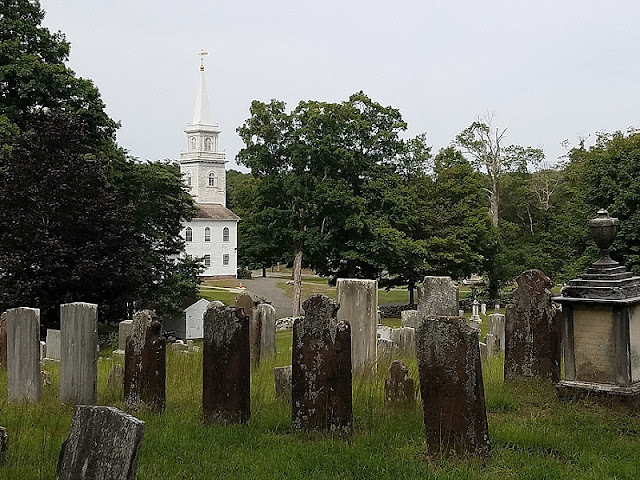 July 21, 2018 — I have probably spent more time in cemeteries than in the guest room of my house, the passenger seat of my car, and that awkward bathroom off the kitchen that for some reason every house that I’ve ever lived in has had. Combined. I’ve spent a lot of time in cemeteries. I love them. It’s, like, the only opinion I have. Every book that I have published so far, fiction or non, has a cemetery in it. I would have set Death and Douglas completely in a cemetery if Neil Gaiman hadn’t gotten there first with The Graveyard Book. So I chose the next best path to get Douglas to treat his local graveyard like a playground...I made him live in a funeral home. The one thing that I don’t like about cemeteries is that I have to call them cemeteries. 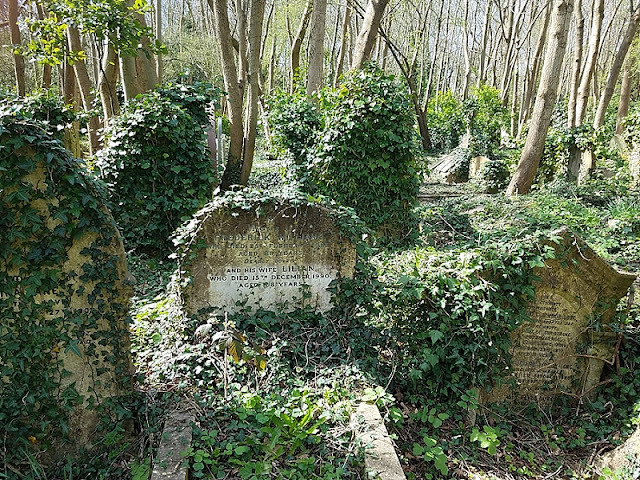 I love the term graveyard way more, but technically a rotyard is only a graveyard when it’s connected to a church. Any standalone rotyard is a cemetery. And even when I’m visiting an actual graveyard, for some reason my vocabulary always defaults to cemetery. It’s like I always default to Fall when I love the term Autumn so much more. And I also hate that capitalizing either of those terms is technically incorrect. I have language problems. These days, it’s easy to find taphophiles online. 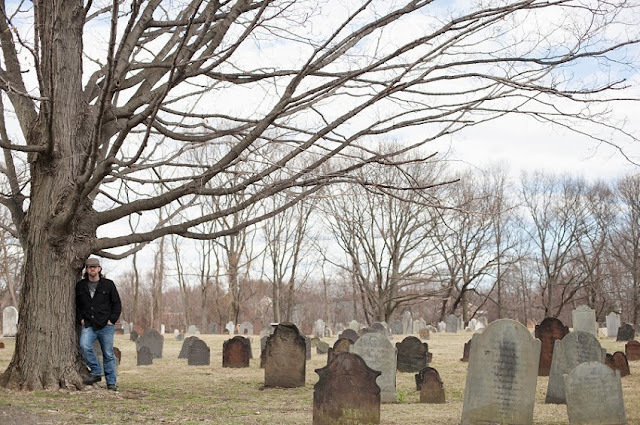 And a lot of opinion pieces touting the life-affirming soul medicine of cemeteries. But I’ve never seen anybody coffin-nail the exact reasons that I visit them. I have five. I can define history in two words: Dead people. And that’s also how you define a cemetery. The older the cemetery, the deeper the history. We’re talking pioneers, founding mothers and fathers, local leaders, everyday heroes. Every epitaph is a paragraph of Earth history. And some of them are murder accusations. 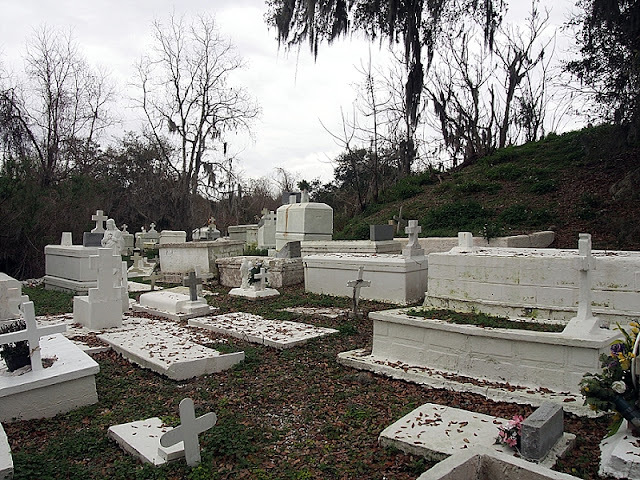 Modern cemeteries are rectangles of stone and shelving for the dead. Which is fine. But the best cemeteries are sculpture parks. Humanoid figures berobed and bewinged. Animal statuary. Abstract pieces, all weathered and patina'd. 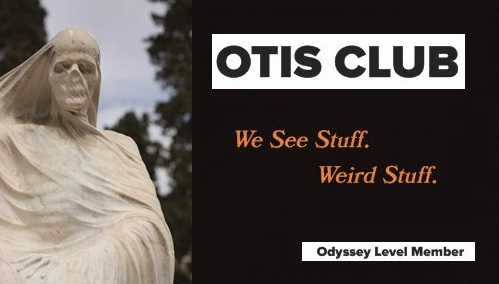 You can Ferris Bueller the black-and-green face of an aged and hooded funerary statue just as long as you can a painting in a museum. Hell, Ferris should have visited Chicago’s Graceland Cemetery on his day off. 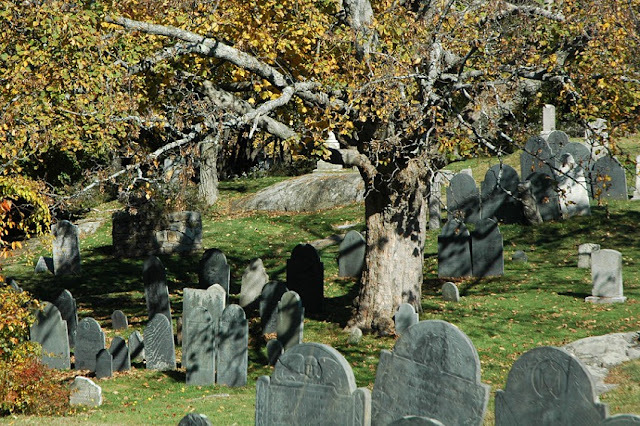 With the exception of crypts and the odd cemetery in a basement, cemeteries mean you’re spending time outside. I won’t go into the whole history of the garden cemetery movement, but the best cemeteries are parks. Big and worth exploring. Full of trees and flowers fed by the most precious fertilizer known to humankind, water features, gently sloping hills and paths. Wildlife like crazy. And the best part of all? They’re quiet and rarely crowed. Above ground, anyway. In life, the closest most of us will get to famous people are when we stand in a long lines at conventions or lure them to like our flattering tweets about their work. In death, you can get much closer to them. Like, six feet close. And you can spend some serious quality time with them. I joke, but there is something powerful in meeting that dead author or musician or director whose works still live and play a prominent part in your life. I’m a spooky guy. You won’t be able to tell from my bunny-brown air and inkless skin or the complete works of John Denver sitting so-so on my shelf, but deep down in my skeleton, I am spooky. 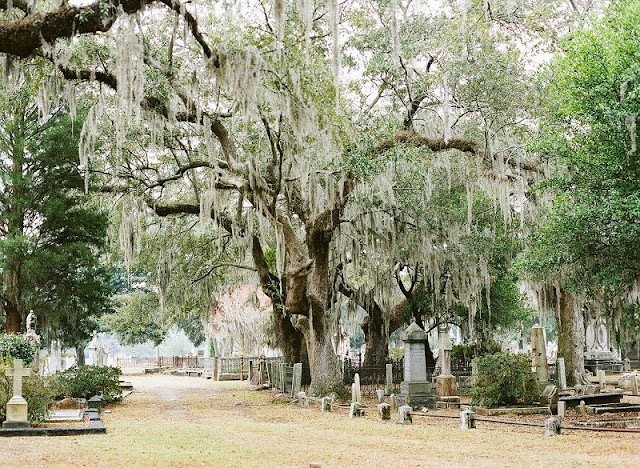 And cemeteries fit my aesthetic. I love the look of a crumbling gravestone and the shape of a skull. But the truth is, cemeteries are only really spooky under the right conditions. During storms, early morning fogs, in the dead of night, in horror movies. Basically, all the times you’ll probably never visit them. But the ambiance is still there in potential, hiding like so many zombies underground, waiting to come up at the first strains of Thriller. And that’s it. Those are my five. 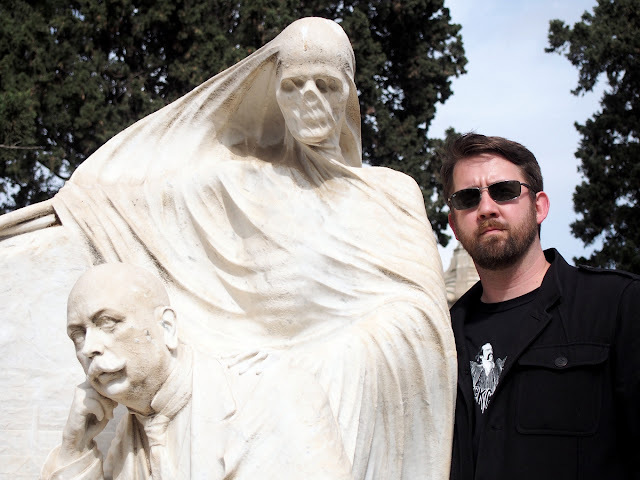 The irony of loving cemeteries is that I’m probably never going to be buried in one. I’m pro whatever is the easiest way for my kids to get rid of my remains. That’s probably going to be cremation. Or leaving me to slowly mummify in the guest room to make up for lost time. And, sure, you can bury ashes just as much as you can bury embalmed flesh, but all that shoveling and etching seems like a lot of work. It’s up to them. They can do whatever they want with this bedraggled frame. God knows I did. In conclusion, hang with the dead the next time you have a spare weekend morning. They're good company.